Tying a rakhi on the brother’s wrist is the most impressive moment of the Raksha Bandhan celebration. It also makes the sister-brother relationship much stronger. 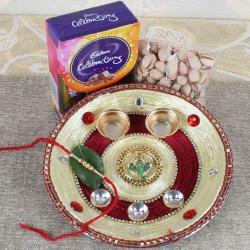 Hence, if you want to gift something to your beloved brother on this Raksha Bandhan, then the Charming Gifting Combo for your Brother is a perfect choice. 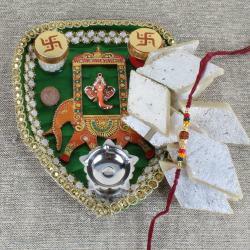 Raksha Bandhan is mostly celebrated by Hindu people, and they give much importance to this festival. 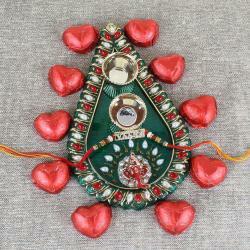 You can purchase this beautiful Rakhi gift for your brother online as well. 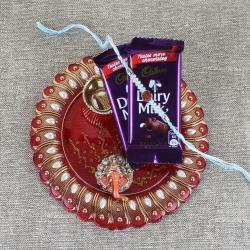 Rakhi gift is one of the essential parts of this occasion. Hence, never forget to buy this excellent gifting combo on this Raksha Bandhan. 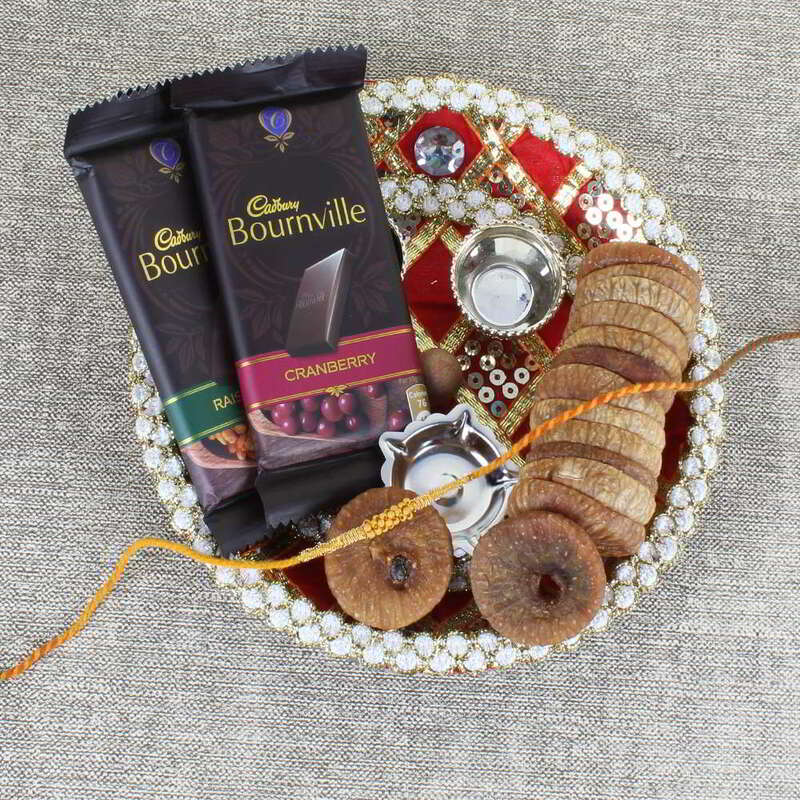 Product Consist: Traditional Puja Thali, Fig Dry Fruits (Weight: 100 gms), Tiny Wooden Beads Rakhi along with 2 Bars Cadbury Bournville Chocolate (Weight: 31 gms each).